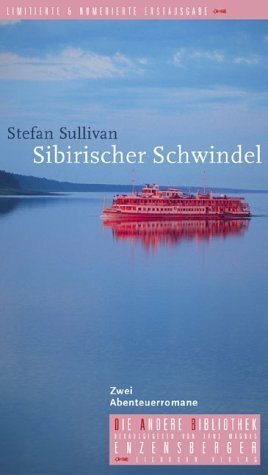 Sullivan's Sibirischer Schwindel - two adventure novels in one volume - was published in Germany in the distinguished Die Andere Bibliothek series in 2002 ("Germany's finest literary series," DIE ZEIT). His philosophy work, Marx for a Post-Communist Era: On Poverty, Corruption and Banality, was published by Routledge in 2001 (Top 5 Publishers in Philosophy, The Leiter Report). The three works were written in Paris, Bangkok and Washington D.C. between 1996 and 2001. "Sullivan has deeply internalized the Marxist concept of the `realm of freedom` and brought it to bear on the daily world around him." "a thought provoking analysis of the relevance of Marx since the collapse of communist power." Leslie Holmes -- Communism: A Very Short Introduction, (Oxford University Press, 2009). "Possibly the most stigmatized thinker in the west, Marx has been distorted or co-opted by friends and foes alike. Sullivan reinvigorates a Marxist critique tarnished by scholasticism, party sloganeering and simplistic refutations." – Staff Pick of the Month: John Huntington, Politics and Prose Bookstore and Coffeehouse, Washington D.C.
"Bucking all trends, Sullivan builds a compelling argument about why Marx is still very important to understand current issues in political economy and culture." It often takes an outsider to see America clearly, and in Heartlands it’s Andreas Horvath, the Austrian photographer and award-winning filmmaker (This Ain't No Heartland, Helmut Berger) putting his eye on the United States. 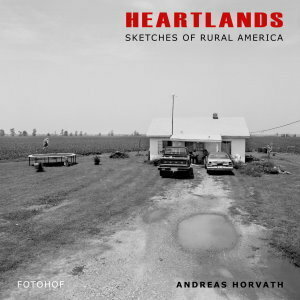 In this beautifully printed, large-format volume of black and white photography, made in 24 states since 1985, Horvath presents images of the “fly-over states,” telling powerful stories of politics, privilege (or lack of it), social aspiration and faded glory. Text by Lech Kowalski, Monika Muskala and Stefan Sullivan.